We would like to thank all of our sponsors and exhibitors for their fantastic support at the AUA Annual Conference and Exhibition 2019. We very much look forward to welcoming you all in Manchester for #AUA2019. Achievability is a full service provider for Higher Education in the area of Survey Data Analytics powered by the EvaSys Enterprise Survey Management software. Achievability helps improve the delivery and design of programmes through the EvaMetrics cloud based platform that drives high response rates, powerful reporting for all stakeholders and provides context and comparison through our community based module benchmark. Achievability is an Electric Paper company. You can find more information on the Achievability website. Advanced Secure Technologies protect universities against document fraud. We deliver secure document technologies that secure and streamline the issuing of printed Certificates/Transcripts and eCertificates/eTranscripts. Our solutions provide students & graduates with a self-service online resource to view their secure electronic degree documents, enabling them to share these with employers and other 3rd parties. Supporting ‘Digital First’ strategies for university degree issuing processes. Look forward to meeting up at AUA 2019. You can find more information on the Advanced Secure website. Akari Software is a world leader in curriculum management software and has been successfully working with universities in Ireland,UK, Malaysia, Australia and New Zealand to develop, manage, ensure compliance and publish their curricula over the past ten years. It does this by transferring an institution’s curriculum components from documents to a single data base source where key data elements can be easily reported upon. The application is a configurable software as a service framework. You can find more information on the Akari website. BetterExaminations provides the cloud based facility that enables staff to securely and efficiently manage the handling of exam material from lecturers, heads of departments and external examiners within a centralised protected system. It’s a place where conversations happen, decisions are made, and exam information is shared securely. The key benefits include the ability to version control exam material, collaborate with lecturing and external staff and take control of your exam process within our secure system. You can find more information on the BetterExaminations website. More than 2,000 leading organizations and over 155,000 users rely on BoardEffect to manage board-related information online and advance the work of their boards. Hospitals and healthcare systems, nonprofits, foundations, educational institutions, government entities, companies and many others leverage BoardEffect to support the dynamic, nuanced, critically important work of governing bodies. BoardEffect allows truly easy management of board information, while also enabling board directors to fulfil their responsibilities of elevating organizational performance. You can find more information on the BoardEffect website. 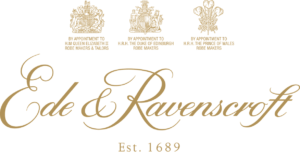 Established 1689, Ede & Ravenscroft has a rich history of Academic Dress. Today, we provide Institutions across the world with Graduation Services that exceed their expectations. From initial planning to the actual graduation event, we provide a seamless service including Academic Dress, Photography, Web-Streaming, DVD production, Ceremony management, Ticketing, Memorabilia. With three Royal Warrants for Robe Making, you can rest assured that no other company offers better quality Academic Dress worldwide than Ede & Ravenscroft. You can find more information on the Ede & Ravenscroft website. VIDEO Our experience and vocational eye means we capture the essence of your event on film with razor-sharp clarity and precision. Live vision mixing, multi-camera shoots, cranes, sliders. Whatever you need. We deliver. STREAMING We have thousands of hours of experience, the latest technology and equipment for streaming to social media, your workforce or a global audience. EVENTS We combine innovation with experience, knowledge and creativity to provide a complete technical solution for your event. 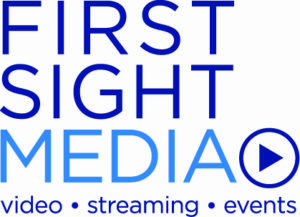 You can find more information on the First Sight Media website. Interfolio offers the first information system to support the full lifecycle of academic work, from hiring to annual review, research, activity reporting, and more. With over 275 clients, Interfolio leads the market in innovative technology designed specifically to benefit both institutions and their academic staff. You can find more information on the Interfolio website. Nottingham Business School is EQUIS and AACSB accredited school focused on innovating business education. we deliver courses that combine academic rigour with business experience and relevance. We are the validating partner for the AUA PG Cert and deliver a full suite of awards enabling PG Cert graduates to continue their studies to PG Diploma or MSc in Higher Education Administration, Management and Leadership. You can find more information on the Nottingham Business School website. 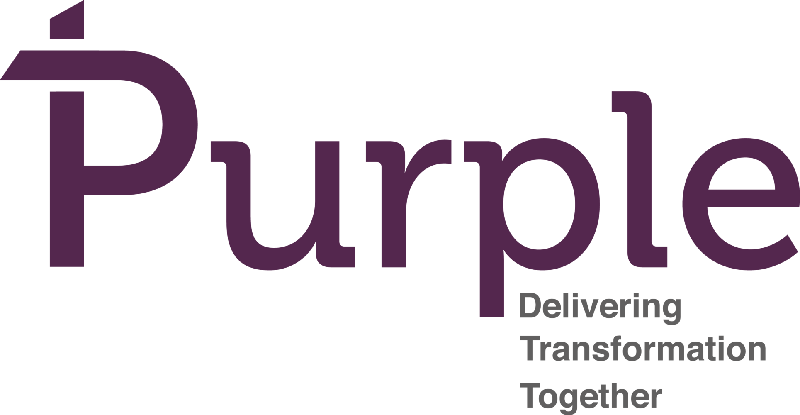 Purple is an inquisitive and disruptive transformation consultancy. Our mission is to work with clients to transform their way of working to bring competitive advantage. We work with a number of the UK’s universities, providing support across people, process and technology. You can find more information on the Purple Consultancy website. SEAtS Software is the all in one student success platform that identifies at-risk students, facilitates effective interventions and delivers student success. An Early Warning System with Predictive Analytics that integrates with all campus systems. Make data-driven decisions on student retention, space utilization, and future trends. Monitor international students to ensure Tier 4 compliance. Student Success at your fingertips. You can find more information on the SEAtS Software website. 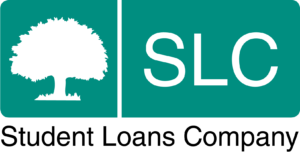 Student Loans Company is a non-profit making, government-owned organisation providing loans and grants to students in universities and colleges in the UK. Our Mission is to enable our customers to invest in their futures by delivering secure, accurate and efficient assessment, payment and repayment services. Partner Services supports Higher Education Providers to undertake the key role they play in the delivery of Student Finance. Including stakeholder communication, best practice advice around systems and service standards. You can find more information on the SLC website. The UK’s most popular provider of graduation photography and digital media, Tempest continues to offer a wealth of additional services to universities and colleges. As well as graduation portraiture, Tempest offer bespoke event ticketing software, cutting edge event video production/streaming and projection and now, via its sub brand the Graduate Gowning Company (GGC); a graduate gowning service designed for the 21st century… offering the market the choice, value and innovation it deserves. You can find more information on the Tempest website. The Hague Group provides innovative solutions in print and associated software solutions to help streamline university processes whilst protecting the integrity of your brand and reputation and saving both time and money. If you work in Registry, Student Services, Admissions or Exams then come and visit the Hague Group stand to find out how we can help you.The Quality Assurance Agency for Higher Education (QAA) is the independent body with 21 years of experience in monitoring and advising on standards and quality in higher education. We check that students working towards a UK qualification get the higher education they are entitled to expect. QAA plays an active role in international developments in quality assurance, working with government bodies, quality agencies and universities worldwide. 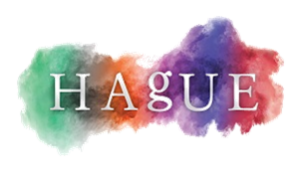 You can find more information on the Hague Group website. 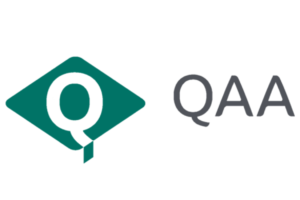 The Quality Assurance Agency for Higher Education (QAA) is the independent body with 21 years of experience in monitoring and advising on standards and quality in higher education. We check that students working towards a UK qualification get the higher education they are entitled to expect. QAA plays an active role in international developments in quality assurance, working with government bodies, quality agencies and universities worldwide. You can find more information on the QAA website. UCAS is an independent charity providing information, advice, and admissions services to inspire and facilitate educational progression to undergraduate, UK conservatoires (UCAS Conservatoires), Initial Teacher Training (UCAS Teacher Training) and taught postgraduate (UCAS Postgraduate) courses. To help promote understanding of patterns in demand for higher education and admissions to HE, we publish a growing volume of data and analysis all of which is freely available to download and re-use from our website. You can find more information on the UCAS website. Unicard Systems Pty Ltd is a leading provider of ID card technology and have been in operation for over 30 years. Our business provides ID card printing management and payment solutions for market segments ranging from Education, Government, Utilities, Security, Resources, Hospitality and Corporate. We also supply genuine consumables for most major brands of ID card printers and plastic card printers. You can find more information on the Unicard Systems website. The mission of UNIwise is to help educational institutions deliver education, and specifically open, transparent and reliable exams and assessment of the highest quality. We do this by continually developing and delivering a digital platform, WISEflow, that is able to support and handle the entirety of their exam and assessment process, as well as equip each stakeholder with the digital tools to administer and accomplish their individual tasks as efficiently as possible. The higher education landscape is increasingly complex and constantly shifting. We design simple, powerful software to address the challenges that administrators and academics face, both now and in the future. With over 150,000 users at leading universities across the UK, Worktribe is the ultimate platform for research and curriculum management. Our evolving, cloud-based software transforms higher education through better collaboration, more efficiency and more transparency. It’s intuitive, secure and easy to integrate. You can find more information on the Worktribe website.